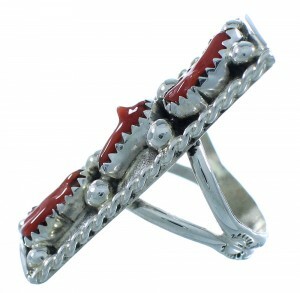 This lovely ring will definitely attract plenty of attention! 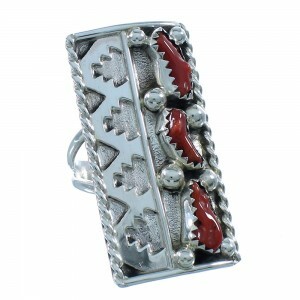 This piece of Native American jewelry is Navajo hand crafted by artist Ronnie Spencer, out of genuine sterling silver and real Corals. 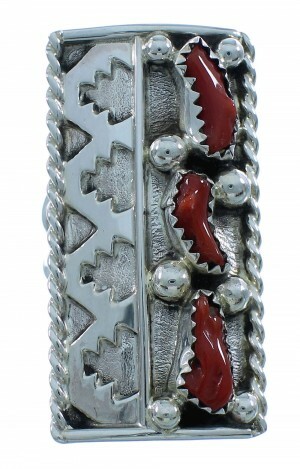 A total of THREE stones are carefully placed in hand cut bezel settings, while being accented by twisted silver, mini silver beads, along with hand crafted border patterns for a marvelous finish. 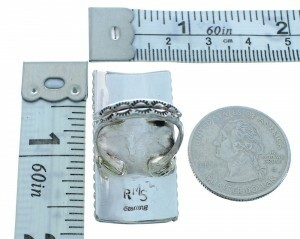 The ring is stamped sterling and hallmarked.